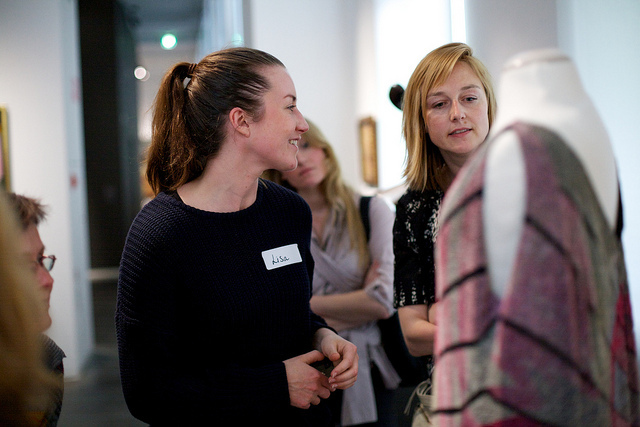 On Monday 13 May 2013, forty fashion enthusiasts gathered at Europeana Fashion partner Centraal Museum for our second fashion edit-a-thon. From journalists and curators to students and bloggers, all attendees spent a full day editing fashion knowledge on Wikipedia. The event was co-organised by Europeana Fashion partner the Netherlands Institute for Sound and Vision and Wikimedia Netherlands with support from the Dutch fashion project ModeMuze. This was the second edit-a-thon we held in an international series. You can read about the first one we held in Stockholm here. In essence, an edit-a-thon, is an event during which people come together to edit and contribute new information to Wikipedia. The day started with a warm welcome and a delicious breakfast served by Centraal Museum. After a round of introductions, Hay and Sandra from Wikimedia Netherlands gave a crash course about editing on the global cooperative encyclopedia. Did you know Wikipedia is the fifth most used website in the world? It makes correct and rich fashion information on the largest online encyclopedia all the more important. And the best way to ensure correctness on Wikipedia is to dive in and edit it yourself! A fashion edit-a-thon is an excellent opportunity to learn how to do this and to meet like-minded people from the fashion community. We had attendees from museums, like the Amsterdam Museum and the Fries Museum; from fashion projects, like In-Fashion and ModeMuze; from fashion association The Dutch Costume Society and from The New Institute. We also welcomed journalists, writers, students and even people who are not necessarily active in the field, but have a great personal interest in fashion. 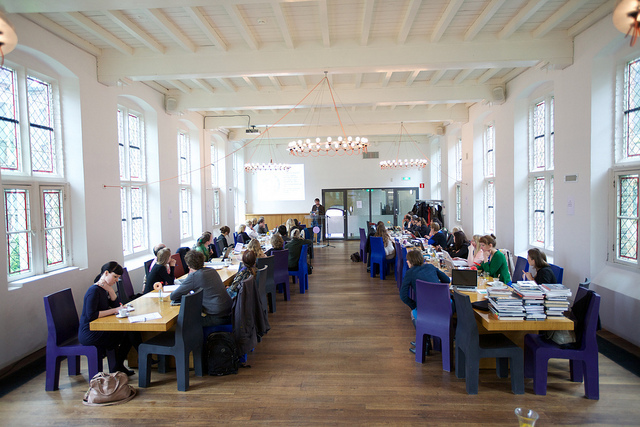 After Wikimedia Netherlands got everybody up and running, we spent the entire day writing on Wikipedia, interspersed with breaks, some networking and a guided tour of the Centraal Museum by curator Ninke and project coordinator Ykje. The tour included the most essential pieces of the collection, such as a seventeenth century kolder (a type of jacket) that is still in perfect condition. This kolder is very rare since most clothing from that era and earlier were worn down to the threads. Dutch designers are well-represented in Centraal Museum's collection. The collection includes pieces designed by Fong-Leng and several pairs of shoes by Jan Jansen, but also objects by younger designers like Viktor & Rolf, Iris van Herpen and Klavers van Engelen. They are shown side by side, thus forming an interesting and beautiful view on the way Dutch designers approach fashion. 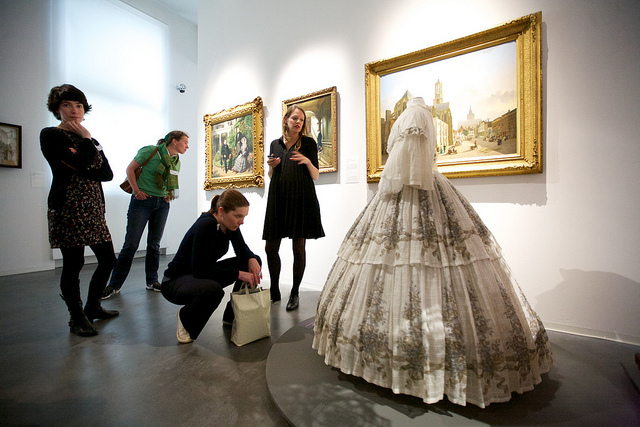 It also shows the new way of thinking about fashion at Dutch museums. Fashion is not just approached historically, but in a dynamic way that also acknowledges fashion as an art form and as a cultural expression. Through the Europeana Fashion edit-a-thons we aim to promote a varied approach to fashion on Wikipedia as well. By the end of the day, forty new fashion Wikipedians had been born and more than 25 articles were written or edited. 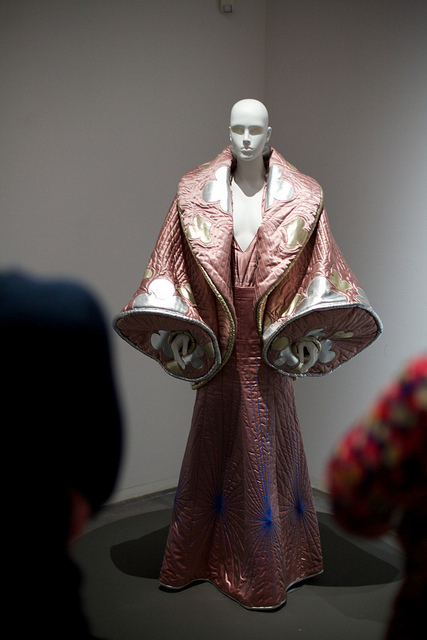 Topics included designers such as Fong-Leng, Iris van Herpen, Dirk van Saene and techniques like corded quilting. Attendees worked on Dutch, English and Polish articles. We had writers from Australia, Poland and the UK as well as a strong presence of Dutch newcomers to the platform. But the day yielded more results than new information and new Wikipedians. Attendees mentioned how they learned more about copyright and intellectual property. 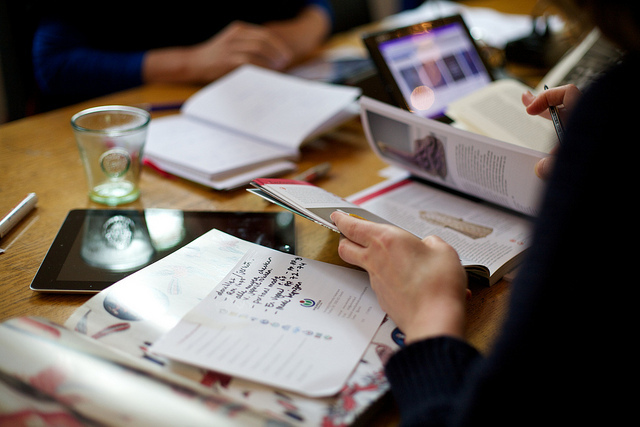 Some indicated they could see themselves using Wikimedia in their personal or professional research. Attendees also expressed they now felt more confident to update inaccuracies on Wikipedia if they would come across them. And, they said, it was a great opportunity to meet people from the fashion community. Find all the photos from the day here and all images made available by Europeana Fashion partners on Wikimedia Commons here. Do you want to attend a Europeana Fashion edit-a-thon? To learn where our next edit-a-thon will take place, follow us on Facebook, Twitter or sign up for the newsletter on the homepage of this website. Do you want to contribute from home? Check out the Dutch and English fashion portals on Wikipedia or check Wikipedia to see what is going on in your language. Do you need to know how to write on Wikipedia first? Wikipedia has a special page for you. 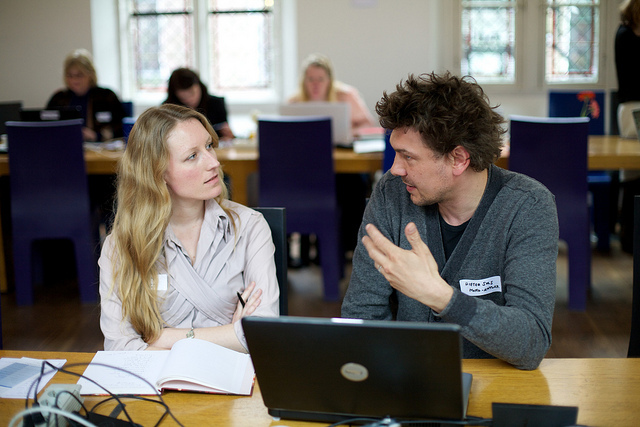 Are you interested in organising your own edit-a-thon? Get in touch with your local Wikimedia chapter (find it here) and contact Erwin Verbruggen from the Netherlands Institute for Sound and Vision via [email protected] to see how we can be of help. The next fashion edit-a-thon will take place on 23 September at MoMu - Fashion Museum Province of Antwerp. Go to our Event section for more information.